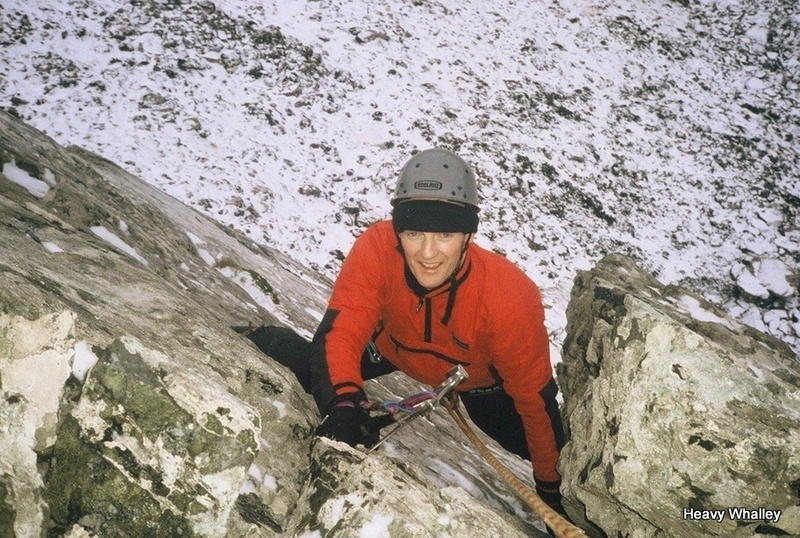 Winters in the Falklands – one pair of boots and crampons and a great day winter climbing. I was privileged to spend two tours in the Falklands when I was in the RAF. It is a wonderful place for wildlife and mountains. Most of the popular peaks are less than 1000 feet and were the scene of bloody battles during the 1982 conflict. They are still littered with the military remains of this awful war. Minefields, too many to clear, abound; giving a new meaning to the phrase “objective dangers”. However, they tend to be well marked and fenced off. The war was incredible and I knew a few who have fought here. It was an incredible feat to fight this war and when you visit the graves of the Argentines forces it is a sombre place. There is always a wind and with the rosaries blowing in the wind its chilling. After the war the military have built a road from the camp at Mount Pleasant Airfield, where a garrison of 2000 personnel are based. The road is 34 miles to the capital Port Stanley. This is the only road, which for some reason has a monsoon ditch 4- 5 feet deep and 3 feet wide on either side. The engineers got the rainfall figures completely wrong; hence the ditch regularly has crashed and overturned Land Rovers in it. This makes it an interesting drive to Stanley and back in winter. The road is often closed for military vehicles due too high winds and can regularly resemble driving up a frozen glacier in a blizzard. The winds can come from nowhere and can blow a wagon of the road with ease. As a member of the RAF occasionally you get detached to out of the way places. The Falklands Islands is one of these. It is a wonderful place and though the mountains are small, the highest below 2500 feet, they do have a fantastic appeal to the climber. I got my gear taken out through my contacts marked Rescue Gear ropes, axes, crampoms and ice gear its 8000 miles away. All the outcrops are of quartzite and almost everywhere the Bedding is steeply inclined. The outcrops in the Stanley area are slabby, Mount Tumbledown being the exception. Balsam bog plants grow all over the cliffs and freeze in winter along with lots of other types of vegetation. Hence, there is plenty of scope for winter climbing. 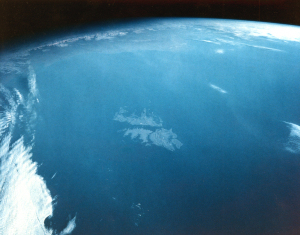 The Falklands has a distinctive weather system and can contain all four seasons in one day. One must expect the unexpected, especially when walking or climbing alone. The weather, which is dictated, from the Polar Regions can give exceptional climbing conditions very quickly. A climbing partner can be fairly difficult to find, as when winter comes, few venture out of the Military complex in search of excitement. Most of this complex is built like a space station, with corridors linking all the domestic accommodation. This is due to the regular high winds, when all but essential personnel are confined to base. Some people detached to the Falklands do not leave the complex during their 4-month tour. In addition the military mind does not accept the concept of solo mountaineering, but such is life. The Marines fought for Mount Harriet, in the war which overlooks the Stanley road. When you read the account of the battle and the terrifying fight they had for this hill it makes sombre reading. It has a great wee scramble and one can only imagine fighting for your life up here, The Mountain has a slab with the only previously climbed winter route, Grotto, a three star Grade 4. This is an excellent, sustained and demanding route (for the grade) requiring torquing and hooking. 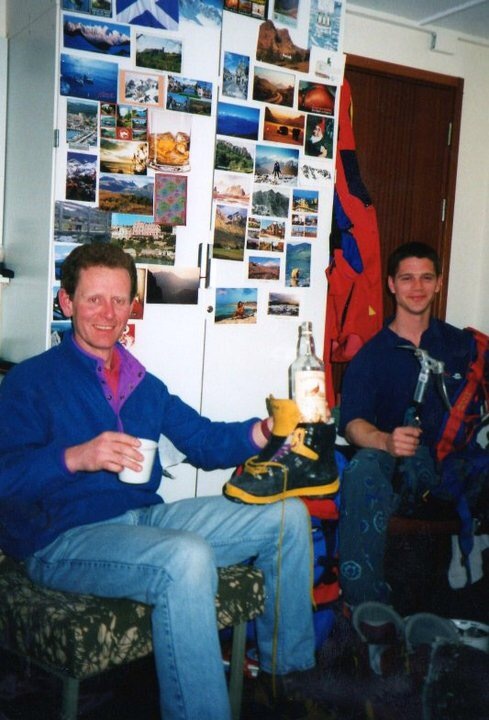 The only problem was all the kit we had were my ice tools, crampons and winter boots. My partner Graham Stamp (Stampy) had come to the Falklands planning to rock climbing but had got the seasons wrong (southern hemisphere abstraction!) and we had an epic “swapping boots and kit in the middle of a blizzard”. 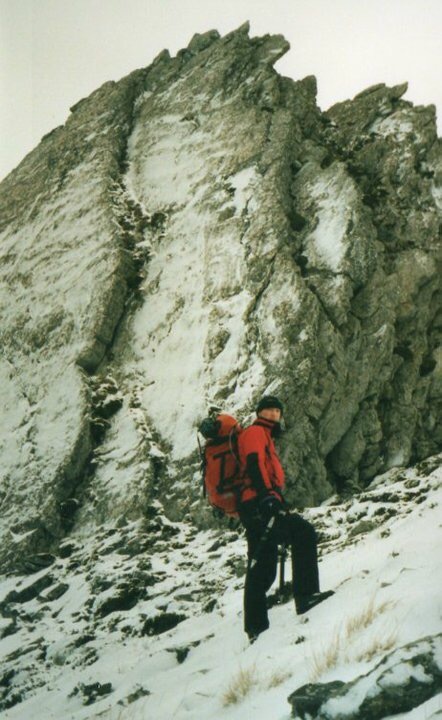 I failed on the crux and Stampy, after donning my kit, sailed up the route, I had placed a great pair of drive in ice screws in the Balsam plants they but was frozen Stampy (he had previously lost a crampon on the North Face of the Eiger and completed the route with little problem – he was “useful”!). The weather that day was straight out of Patagonia, one of the coldest days I have ever been on the hill. (Nearly as bad as the Cairngorms). Eventually I scraped my way up the route and made our way off the crag. The walk down is only 20 minutes to the road, where we were met by the local Police, who were very interested in what we were up to. But a dram from my rucksack ensured we were not in any trouble and all was kept quiet, as we didn’t have permission to climb. We arrived back at camp many were oblivious to our great day, the road was still shut and few had walked out of the camp, Yet what a day we had and it took hours to warm my feet after the climb. What next? After our wee epic, my Stampy was posted back to the UK and I had no climbing partner. I asked several friends to come out but very few were interested in winter climbing. During a tour in the Falklands you only get one day off a week and it was essential for my sanity, to get out of camp and on the hills. I went out alone often but that is another story. This entry was posted in Enviroment, Equipment, Falklands Islands, Scottish winter climbing., Views Mountaineering, Weather, Wildlife. Bookmark the permalink. 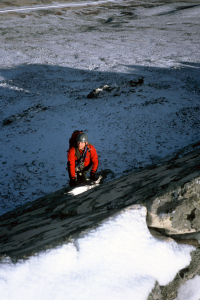 7 Responses to Winters in the Falklands – one pair of boots and crampons and a great day winter climbing. I was lucky enough to do 2 tours as well, but I managed 2 days off a week, and my own Landrover with massive balloon tyres. Spent ages out on the hills walking from San Carlos to Mt Pleasant, numerous routes out to Onion Ranges, and the peaks towards Stanley, as well as helping friends who run the Blue Beach Lodge. As you were in catering Heavy, you’d know all about the ‘fresh’ eggs we got for breakfast! I used to enjoy watching the look on a chefs face as I cracked an egg onto the hotplate and it stayed in one place, no need to keep scooping it back into an egg shape (the joy of proper fresh hen & duck eggs from Blue Beach. I’d go back tomorrow if asked. Very interesting reading never been into mountain climbing but spent 4 years there at Roy cove on the west Falkland. Back in 1973 so know about the weather ecru. Hoping to get back for a visit one day .keeplease up the good work . Thank you it’s a wonderful place lots of great memories.